Brescia, M. M. (2015). The Spanish Element in Western Water Law: Views from Arizona. Western Legal History , 28(1), 81-121. Brescia, M. M. (2016). Natural Resources and the Law in Hispanic Arizona: The Babocomari Ranch and the Living Legacies of the Gadsden Purchase. Journal of the Southwest , 58(1), 29-52. Brescia, M. M. (2015). Agrarian Lifeways and Judicial Transitions for Hispanic Families in Anglo California: Sources for Legal History in the Autry National Center of the American West. California Legal History , 10, 387-405. Brescia, M. M. (2015). Bridging Troubled Waters: Historians, Natural Resources, and the Expert Witness Phenomenon. The Public Historian , 37(1), 11-24. My scholarly contribution as guest editor of a special issue of the journal on the theme of historian as expert witness. Brescia, M. M. (2015). Guest Editor of the Special Issue, "The Historian as Expert Witness". The Public Historian , 37(1). I served as guest editor of a special issue of the journal, The Public Historian. The title of this special issue is "The Historian as Expert Witness." Brescia, M. M. (2016, January). Teaching and Researching Mexican History in Light of the ASM Library & Archives . Annual Arizona Archives Summit. 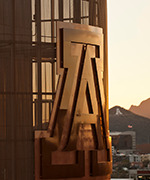 Tempe, Arizona: Arizona Archives Alliance. Scholarly paper given at the annual Arizona Archives Summit on the panel "Users Talk Back: How Researchers Find and Use the ASM Library & Archives," organized by Mary Graham and Jannelle Weakly. Brescia, M. M. (2016, March). Careers in Museums for the Historian . UA History Graduate Student Association (HGA) Symposium. Tucson, Arizona: Department of History, University of Arizona. Paper presented at the History Graduate Association Symposium on Careers in History. Brescia, M. M. (2015, July). "Water, Land, and Lawyers in Hispanic California: Natural Resources at the Intersection of Spanish Colonialism and American Rule." . Research Frontiers Symposium, Autry National Center of the American West, Los Angeles, California. Los Angeles, California: Autry National Center of the American West. Brescia, M. M. (2016. Book Review, Four Square Leagues: Pueblo Indian Land in New Mexico. Brescia, M. M. (2018. "De los montes y plantios (On the Woods and Fields)". Exhibit, Law and Continuity in Early Independent Mexico: Juan N. Rodriguez and the Pandectas hispano-megicanas. . Tucson: Special Collections, Daniel F. Cracchiolo Law Library, James E. Rogers College of Law, University of Arizona. Sub-Text panel for a single case exhibit (2'4" x 4'10" x 4'8"). Brescia, M. M. (2018. "Juan N. Rodriguez de San Miguel and the Pandectas hispano-megicanas.". Exhibit, Law and Continuity in Early Independent Mexico . Tucson: Special Collections, Daniel F. Cracchiolo Law Library, James E. Rogers College of Law, University of Arizona. Text panel for a single case exhibit (2'4" x 4'10" x 4'8") with two objects examining continuity in Mexican law after independence from Spain via a rare book in the law library's special collections. Brescia, M. M. (2015. Lead Curator, Intimacy of Faith: Devotional Retablos and Ex-Votos from Mexico.. Museum Exhibit . Tucson, Arizona: Arizona State Museum. Lead curator of the exhibit; responsible for conceptual framework of the exhibit; responsible for 25% of intellectual content; responsible for editing and revising 100% of content. Post-installation peer review appeared in the following venues:1) Yolanda Chavez Leyva, 2015, The Public Historian 37(4): 149-153.2) Margaret Regan, Tucson Weekly, 2015, online access available at http://www.tucsonweekly.com/tucson/faith-and-folklore/Content?oid=5068396.3) Emily Umberger, 2016, Visual Anthropology Review 32(1): 94-96. Brescia, M. M. (2018, June). Final Report to AHRAB for the Polzer Papers Project. Brescia, M. M. (2016, December). The Black Death and Later Plague Epidemics in the Nordic Countries. De Gruyter Publishers. I am the Language Editor of this book written by Ole Jorgen Benedictow and published by De Gruyter Publishers, headquartered in Warsaw, Poland. I edited the 400-page manuscript, which was written in English by a non-native English speaking scholar. The book is an ethnohistorical assessment of disease and demography in the Nordic Countries in light of the devastation caused by the plague or Black Death. Brescia, M. M. (2015, April). Text panel, Baroque Catholicism in Mexico, for the Intimacy of Faith Exhibit. Arizona State Museum. Author of the text panel, Baroque Catholicism in Mexico, for the Intimacy of Faith exhibit at ASM.